Shiwang’andu Member of Parliament Stephen Kampyongo has charged that human activities have contributed greatly to climate change. Mr. Kampyongo said there is therefore need for everyone to get involved in implementing measures that will protect the environment. He said the weather pattern being experienced in the country where some regions have little or no rain at all is as a result of the effects of climate change and global warming. Mr. Kampyongo, who is also Home Affairs Minister, said this in Shiwang’andu yesterday when he launched the tree planting exercise in the district. He said there was need for concerted efforts in ensuring that mitigation measures against global warming are effectively implemented in order to protect the environment. He said government was committed to ensuring that measures to protect the environment are implemented across the country. Mr. Kampyongo said the plant a million trees initiative which was launched by President Edgar Lungu in Chinsali early this year, is a commitment from the highest office showing how serious government is with issues of protecting the environment. He said every Zambian must get concerned with global warming and start participating in reversing the trend through planting more trees and encouraging sustainable utilisation of natural resources. And Shiwang’andu District Forestry Officer Japhet Kabonso said the forest sector has potential to contribute positively to the economic growth of the province. Mr Kabonso said his office was encouraging local people to invest in tree planting now and enjoy the benefits in few years to come. 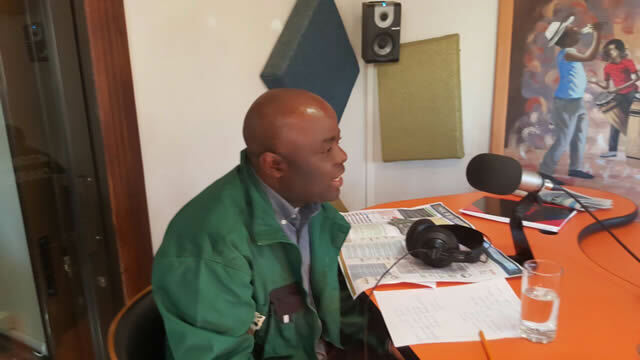 Meanwhile, Shiwang’andu Council Chairperson Epilous Chisulo assured Mr. Kampyongo that the local authority will ensure local people and institutions such as schools and health centres are encouraged to plant more trees. This year’s tree planting season is under the theme ‘Forests for wealth and job creation’. He is now a scientist.